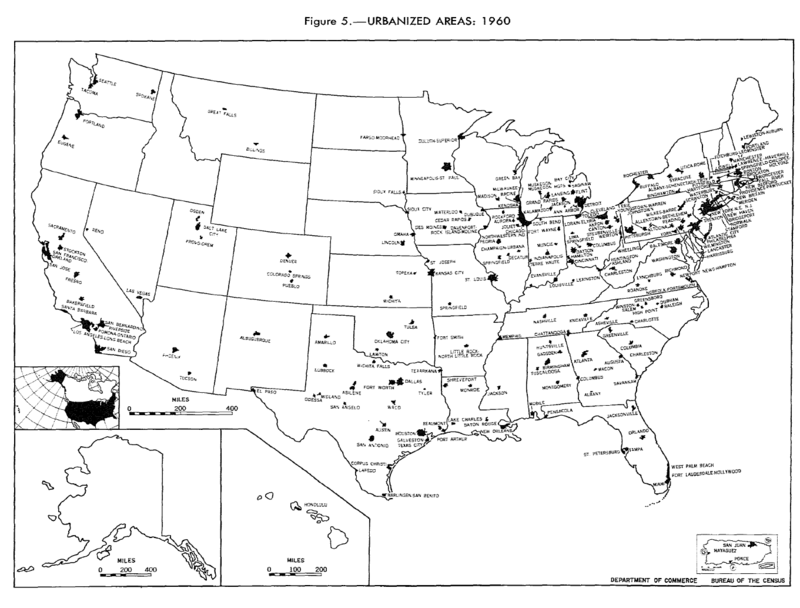 This publication has been prepared primarily by assembling and binding the maps and tabular materials originally Issued in the 57 separate PC(1)-A final reports. 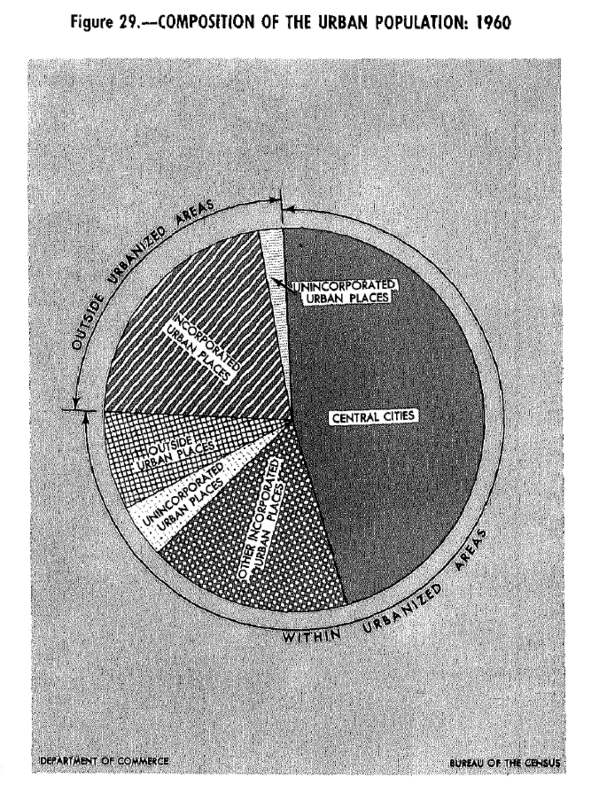 This plan was adopted in order to conserve public funds. 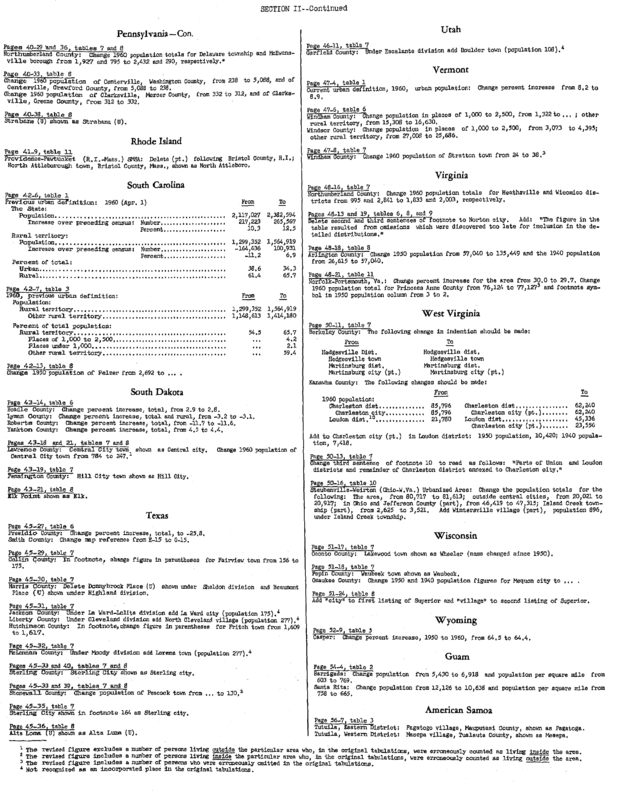 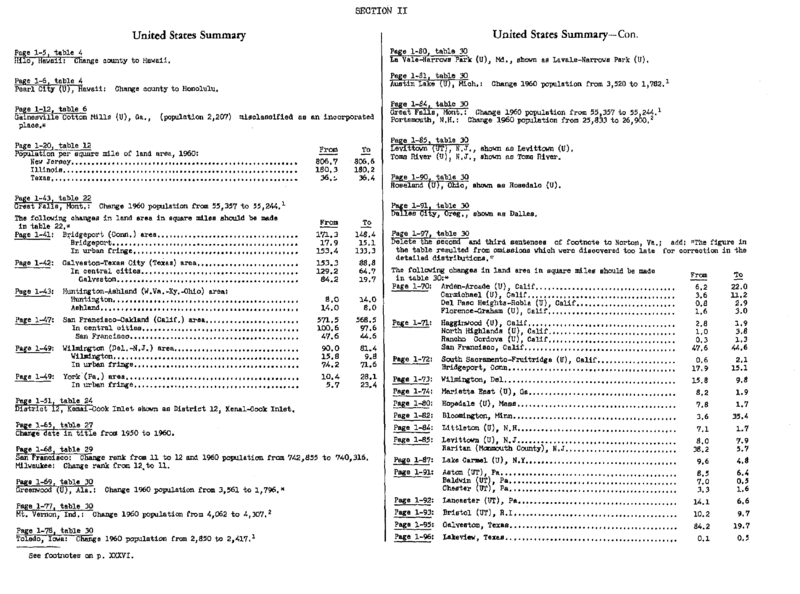 The corrections listed below represent changes which would ordinarily have been made if this publication had been prepared by reprinting the PC(1)-A maps and tabular material. 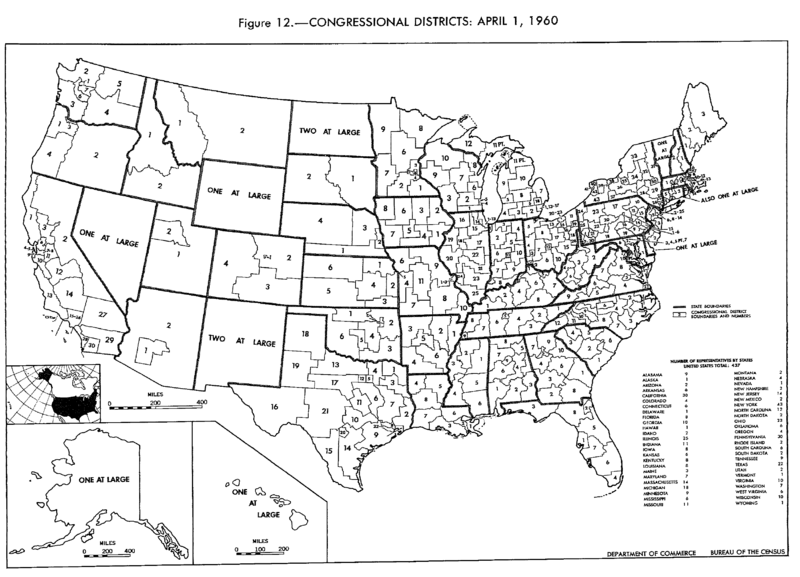 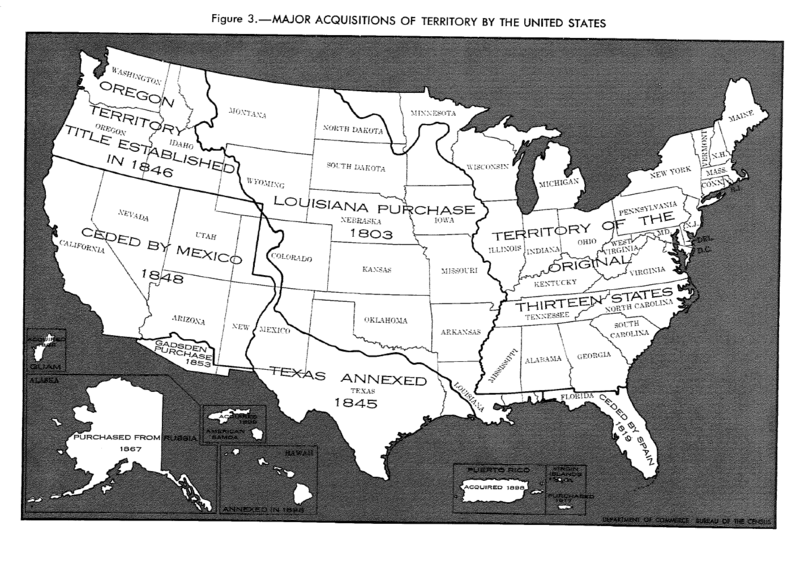 Section I lists the errors in the maps. 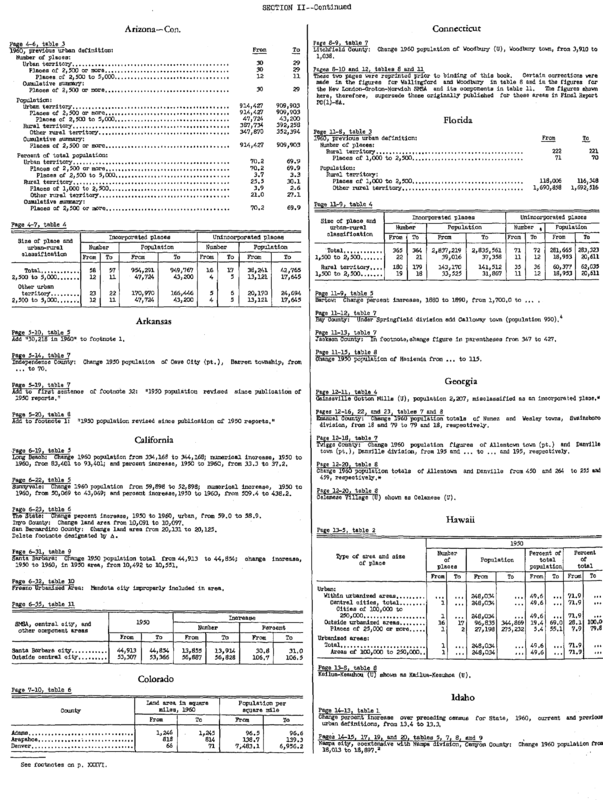 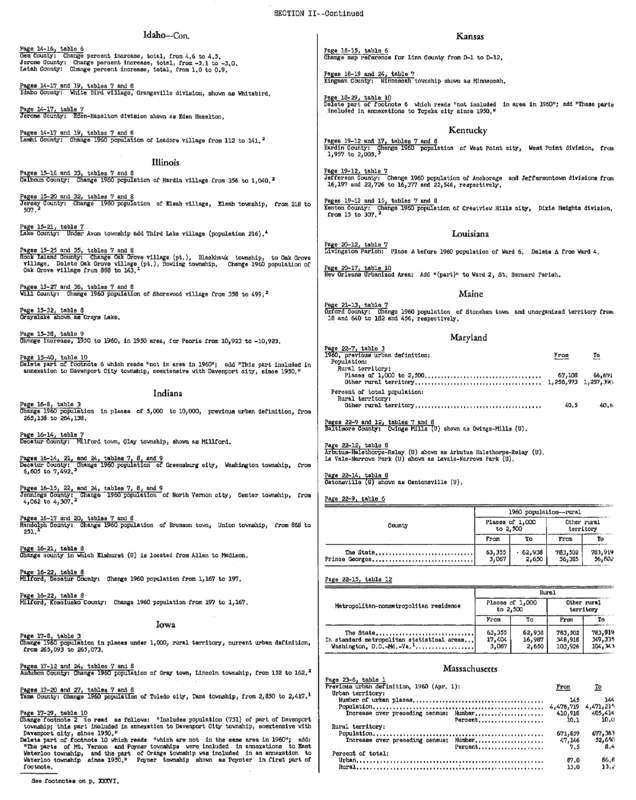 Section II shows the corrections to be made in the tabular material. 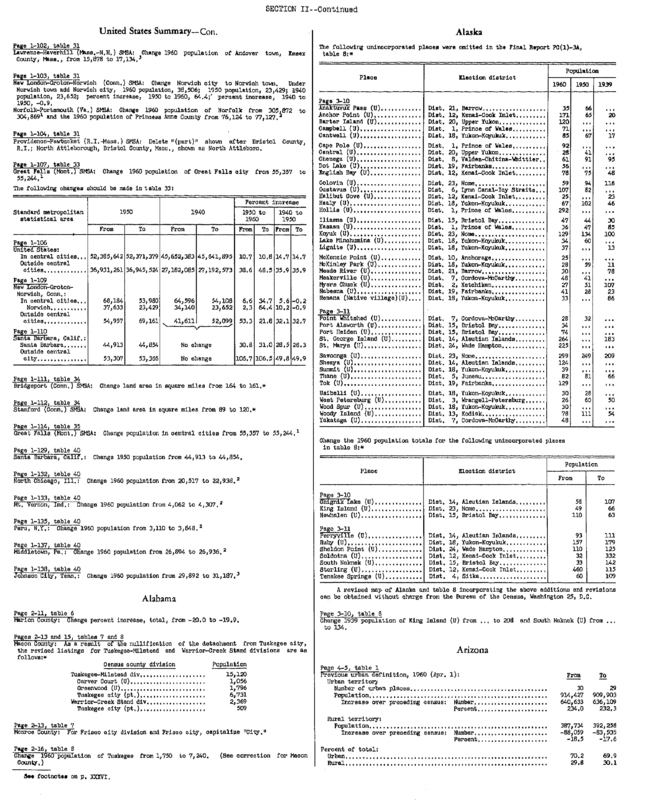 Those items without an asterisk (*) or a footnote consist of such matters as changes in footnotes, spelling mistakes, and typographical errors in figures which do not affect any other statistics in this publication. 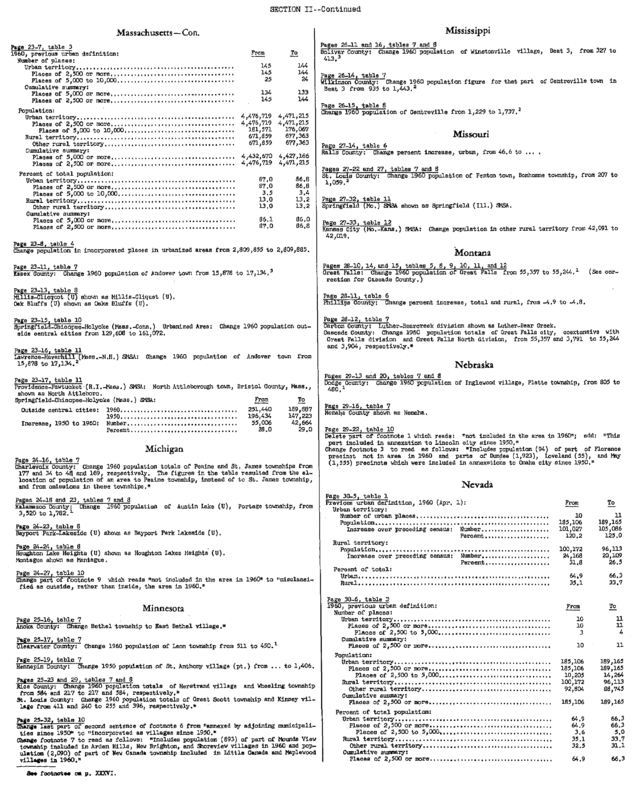 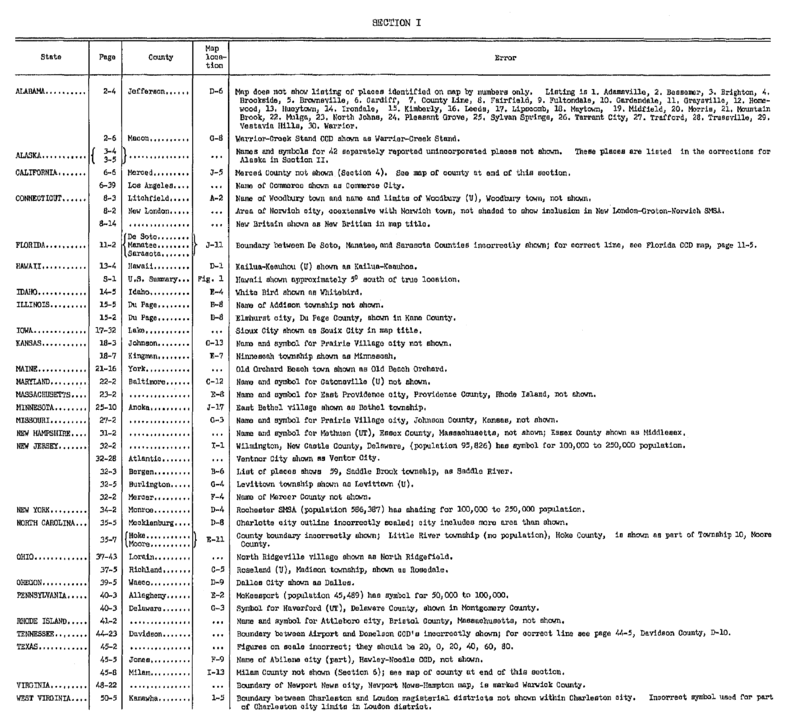 Those items with an asterisk (*) or a footnote consist of errors which affect not only the specific figure(s) mentioned but also affect other data in this publication. 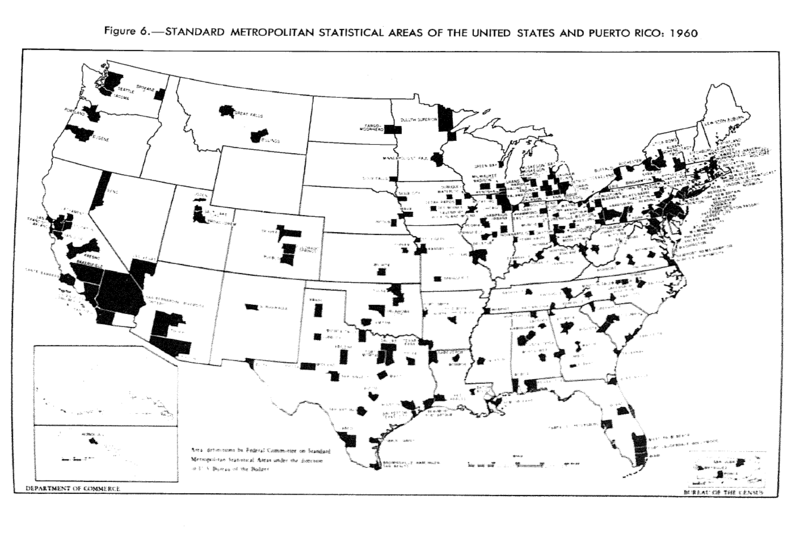 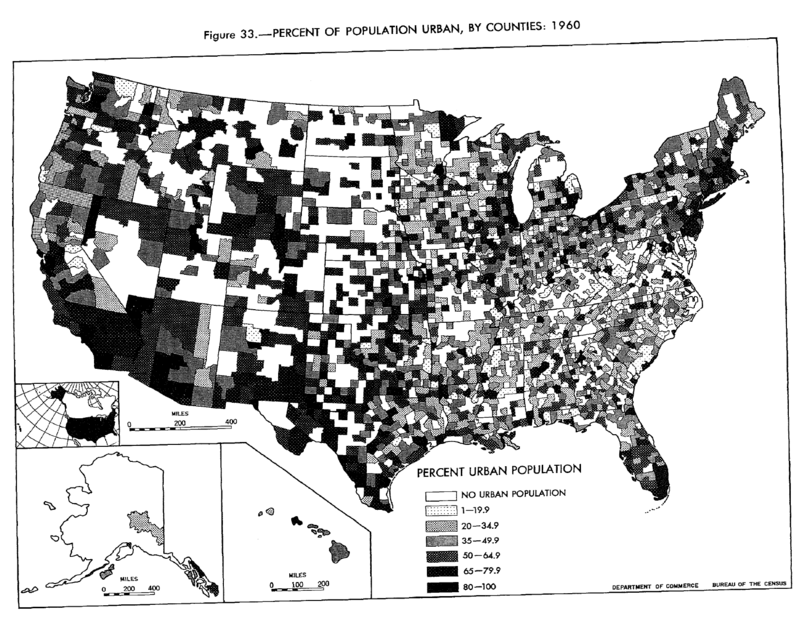 Among the other data which might be involved are the total population for a larger area of which the particular area is part, the number of incorporated and unincorporated places, the population in groups of places classified by size, and the classification of the population by urban-rural residence. 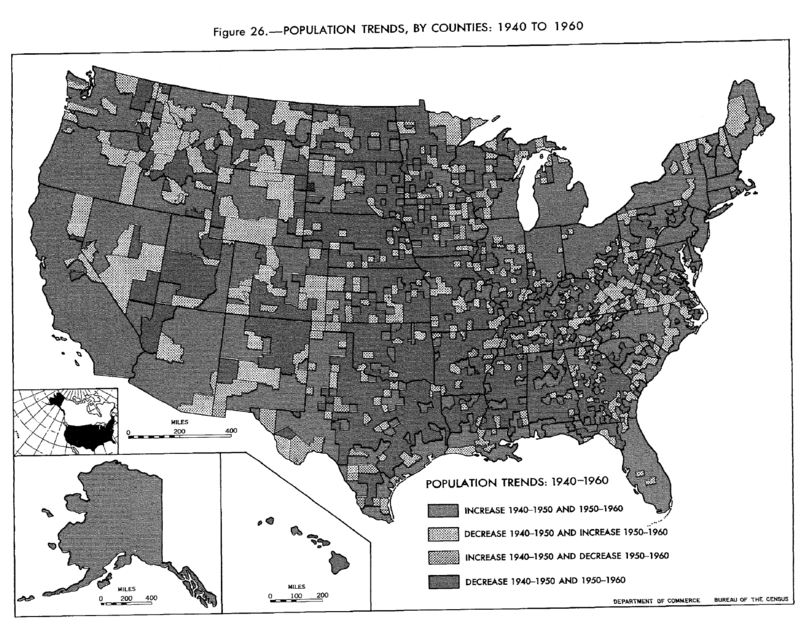 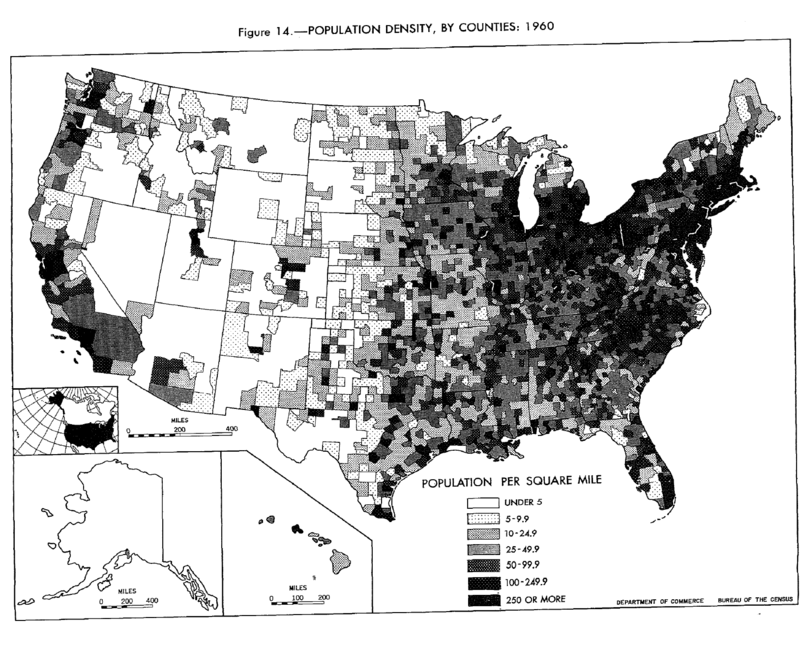 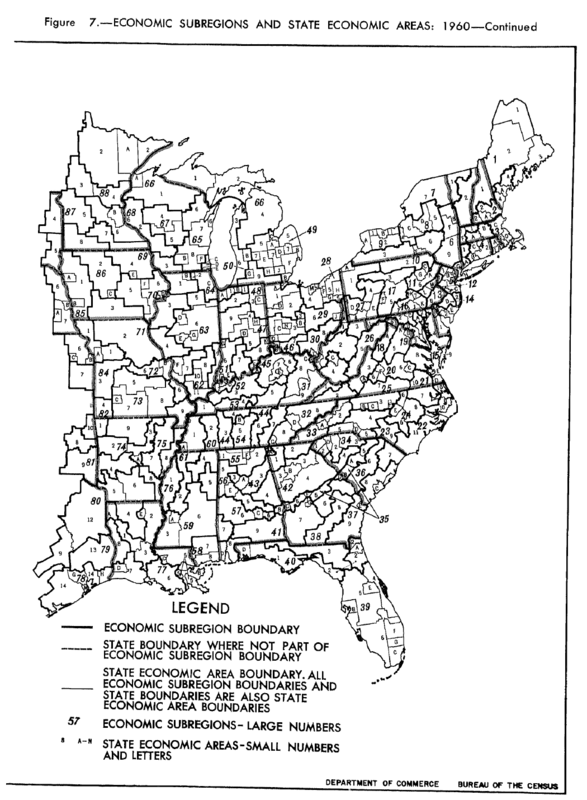 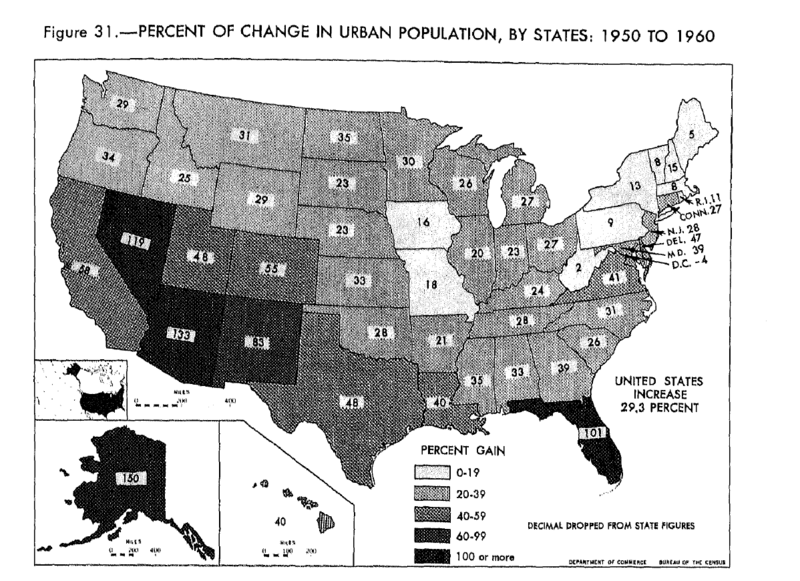 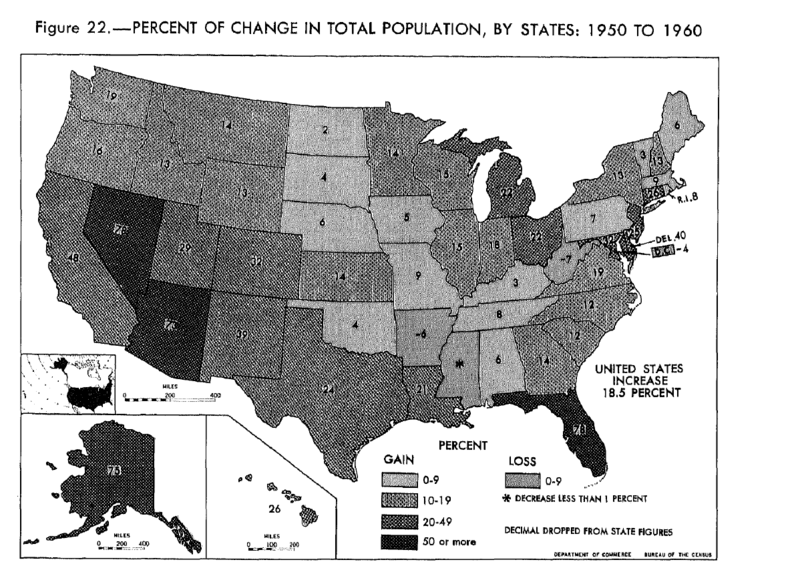 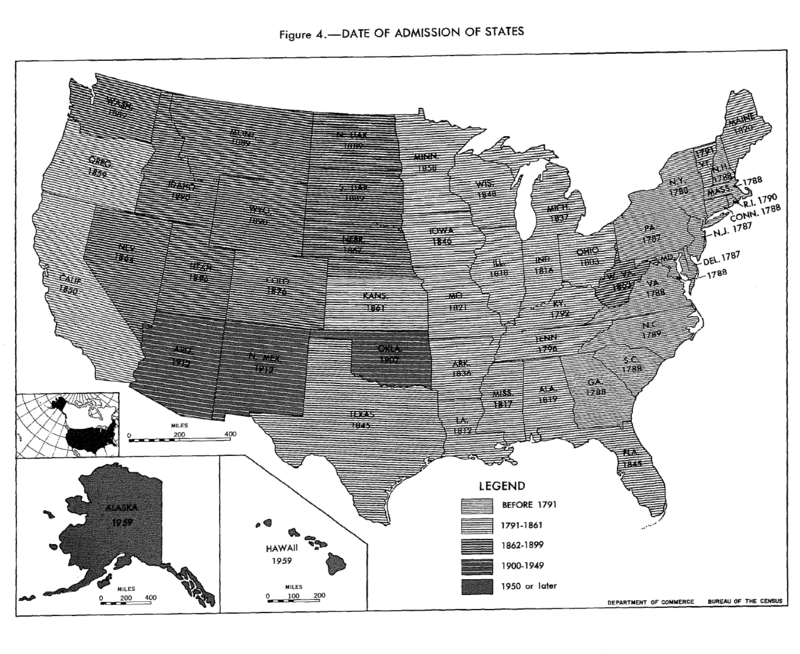 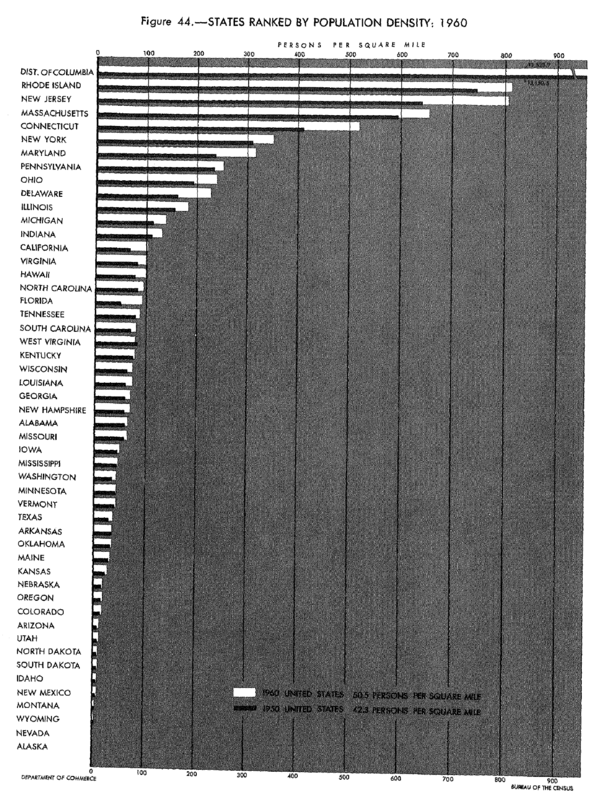 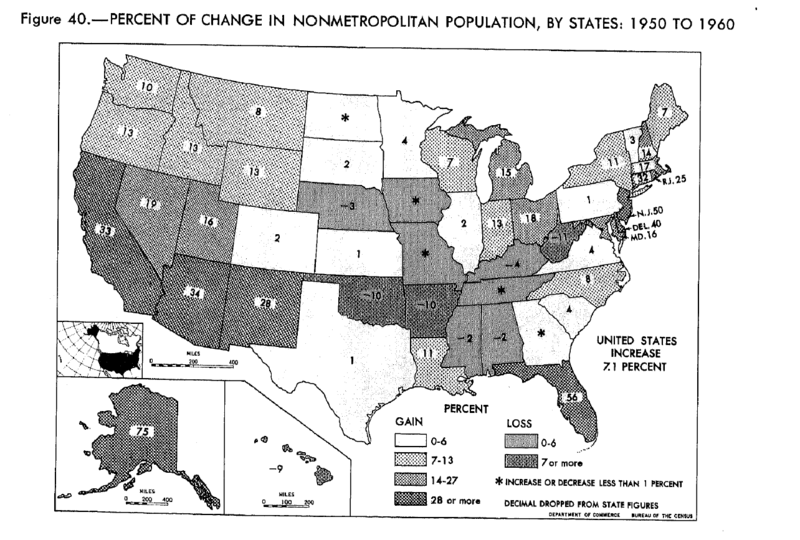 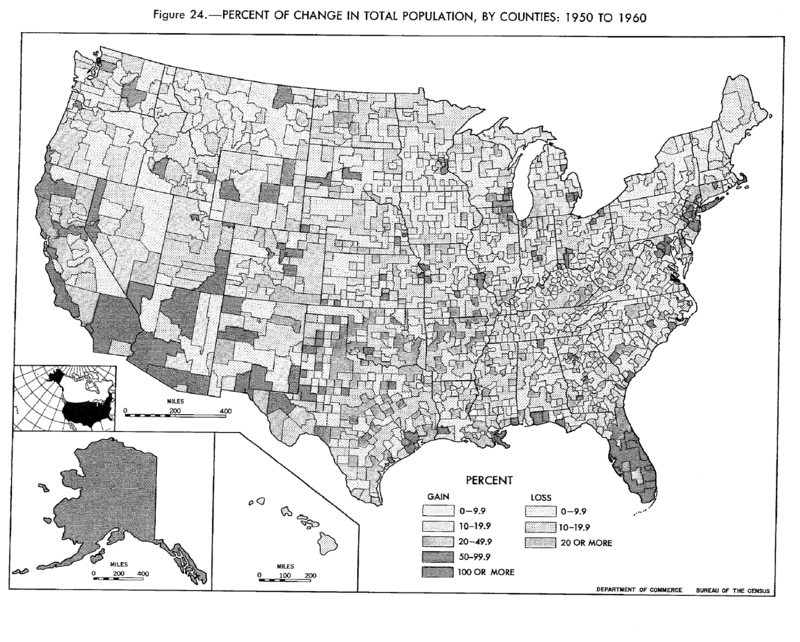 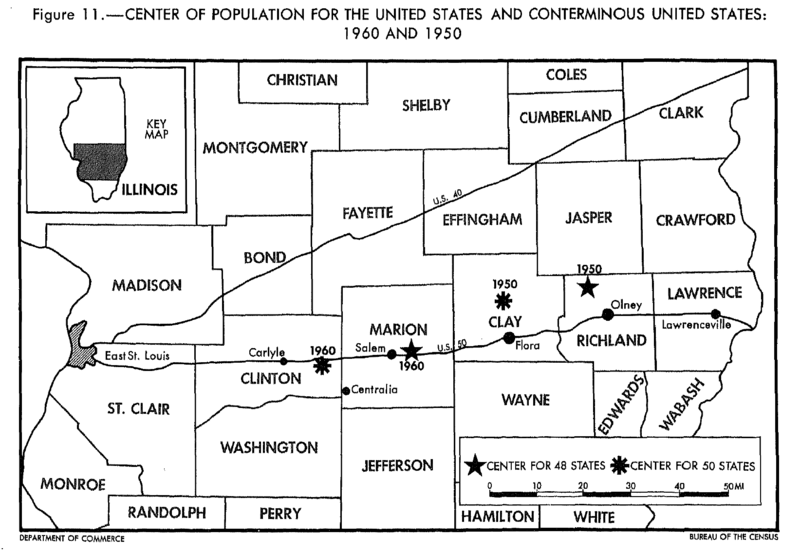 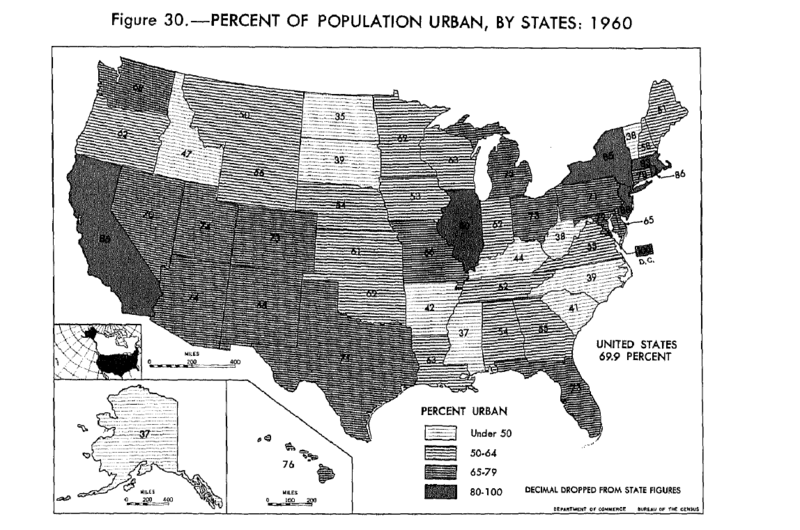 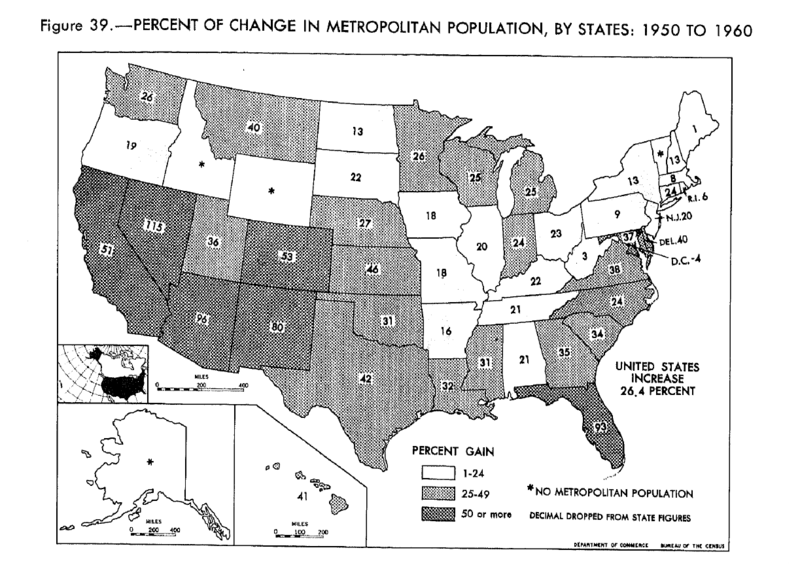 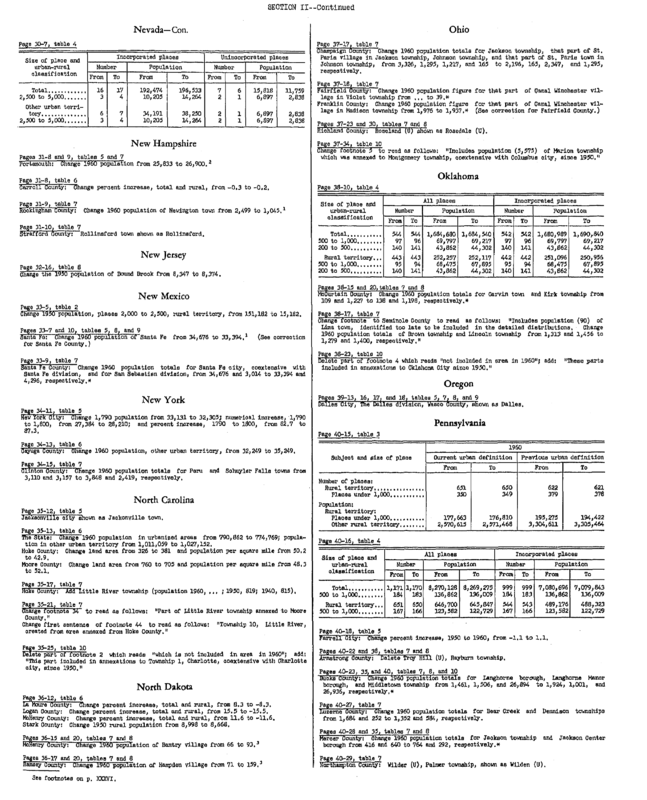 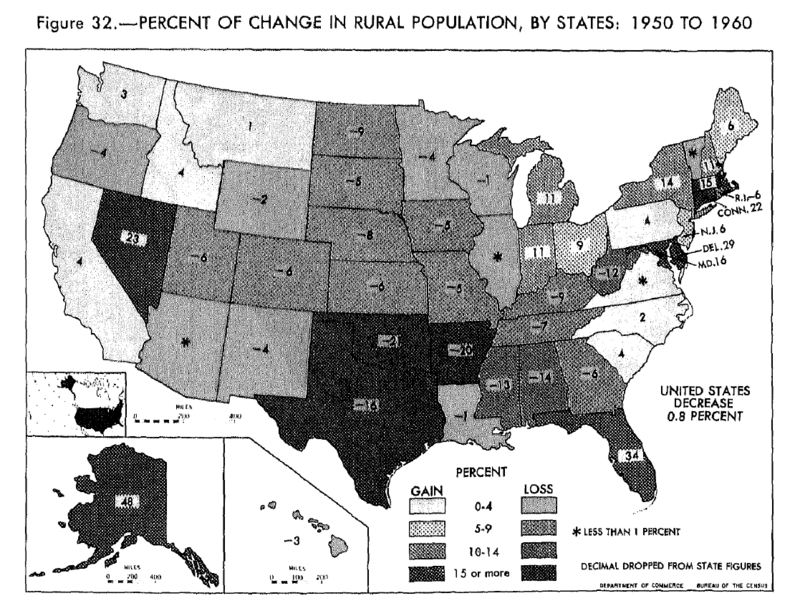 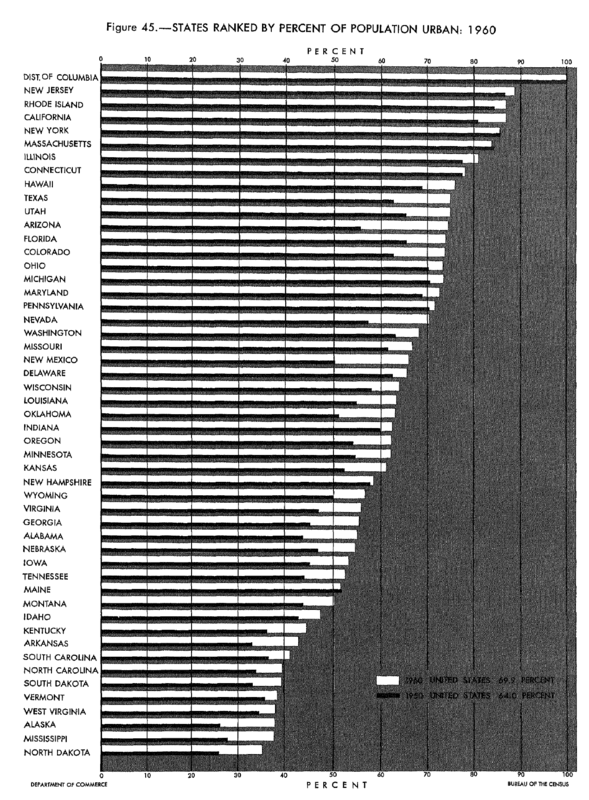 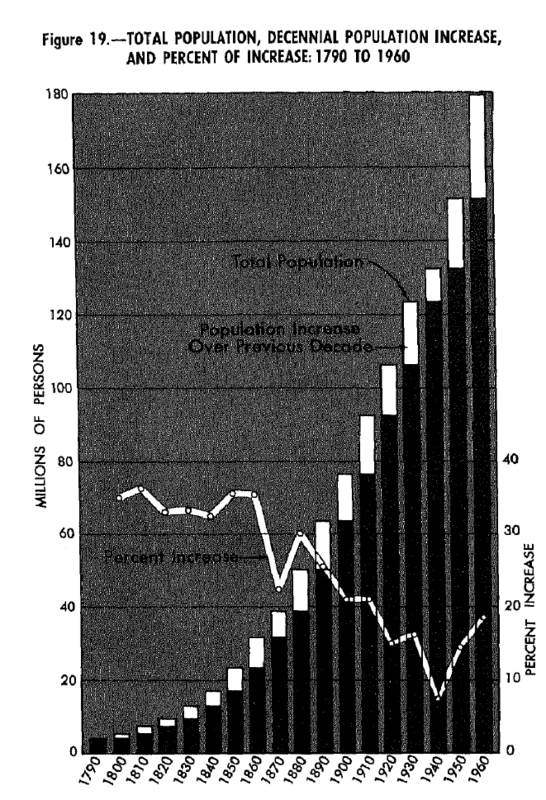 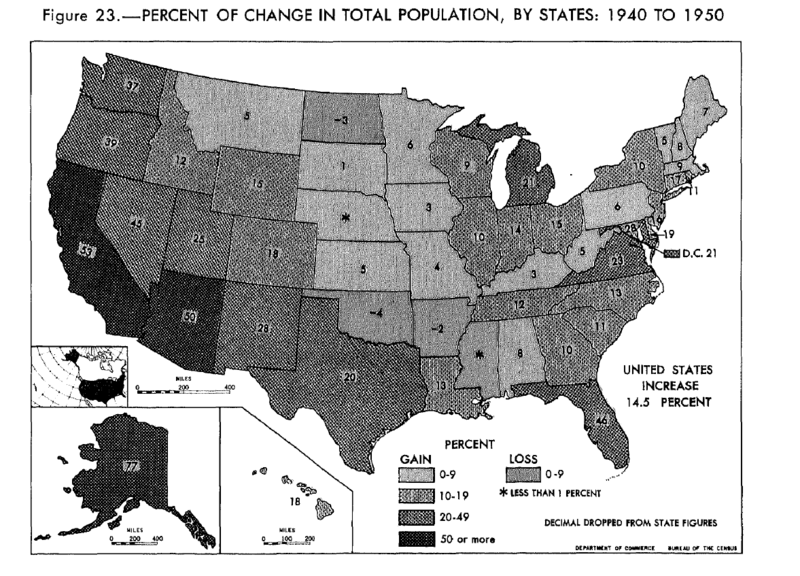 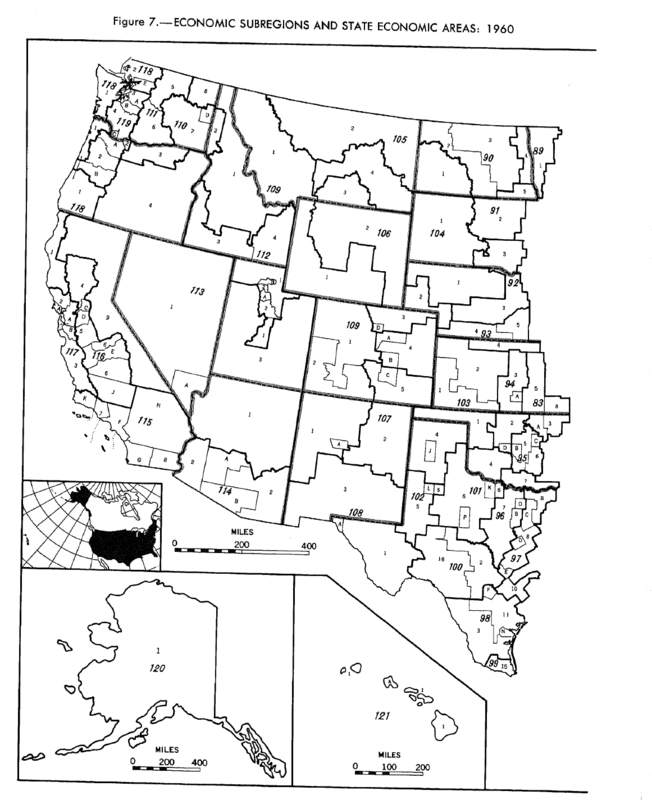 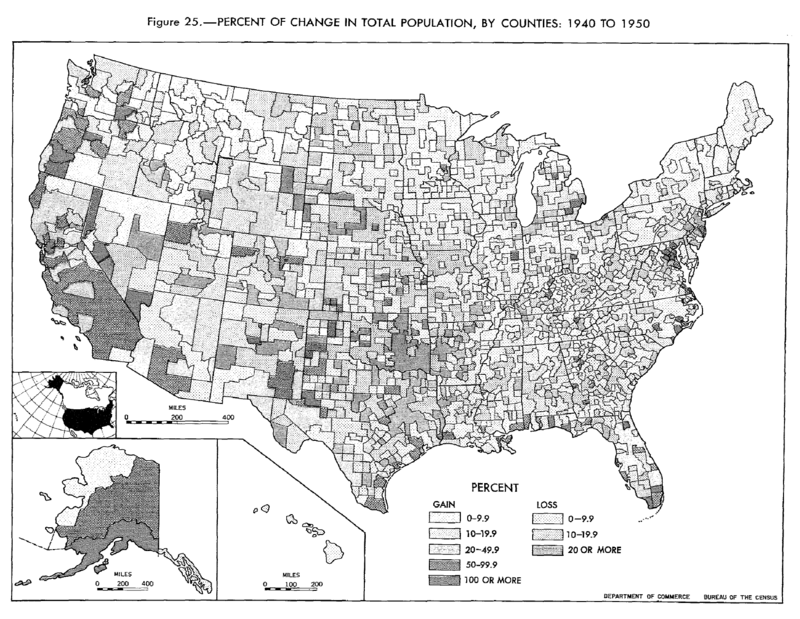 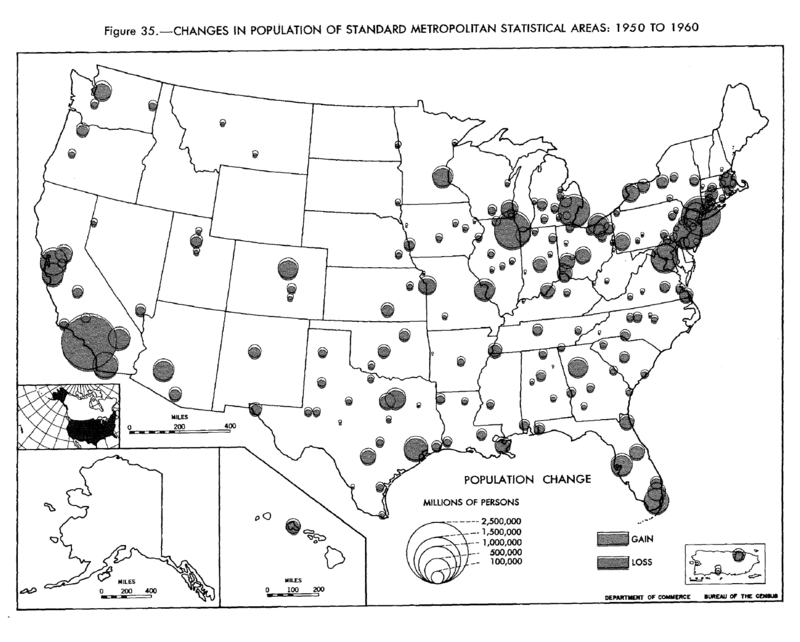 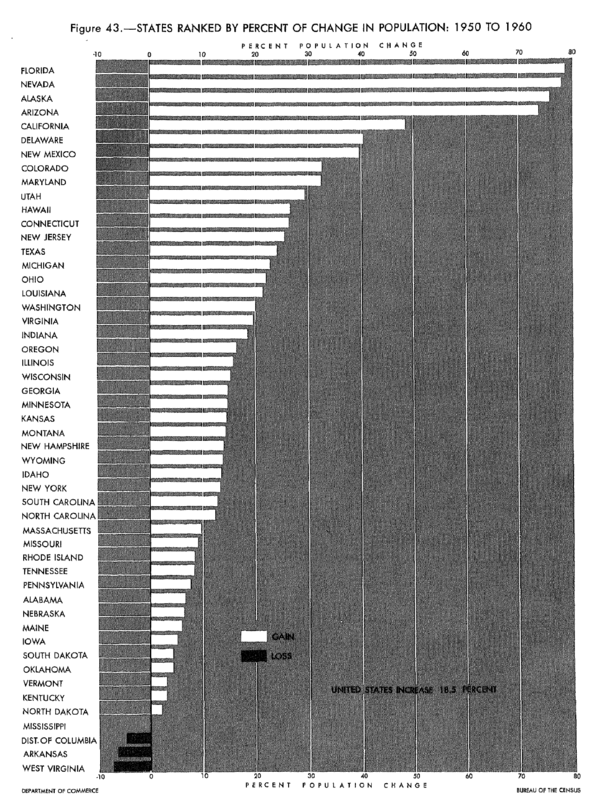 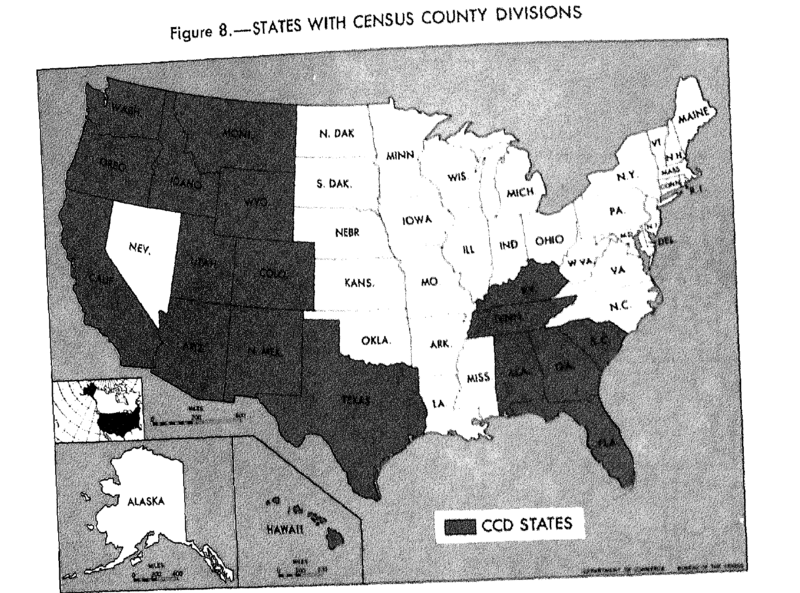 For example, the revision in the 1960 population total for Nampa, Idaho, has not been carried through here to show the necessary corrections in the figures on the classification of the population by urban-rural residence for Canyon County, the state of Idaho, and the United States. 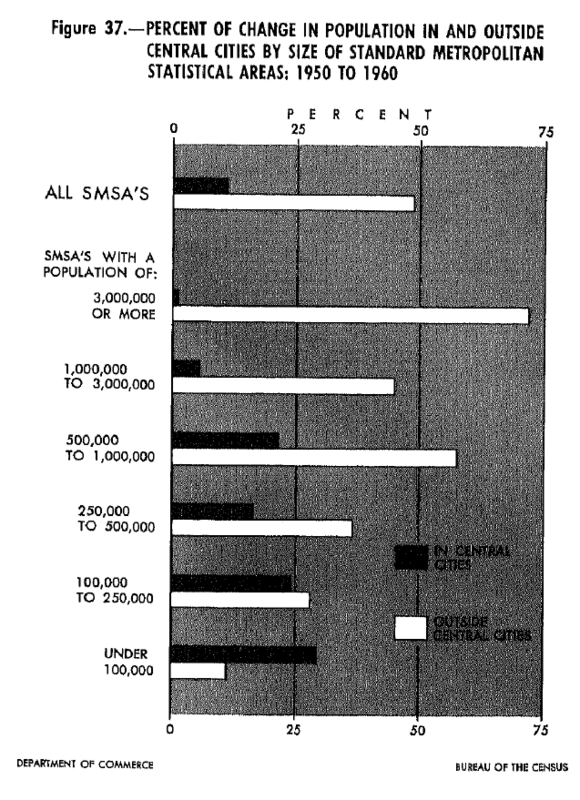 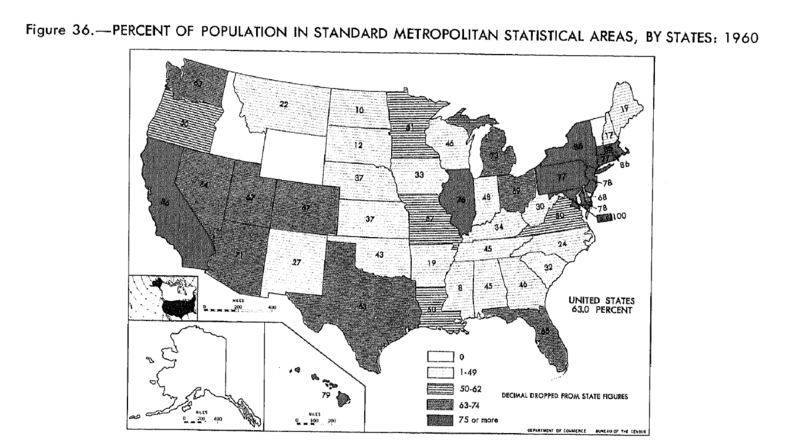 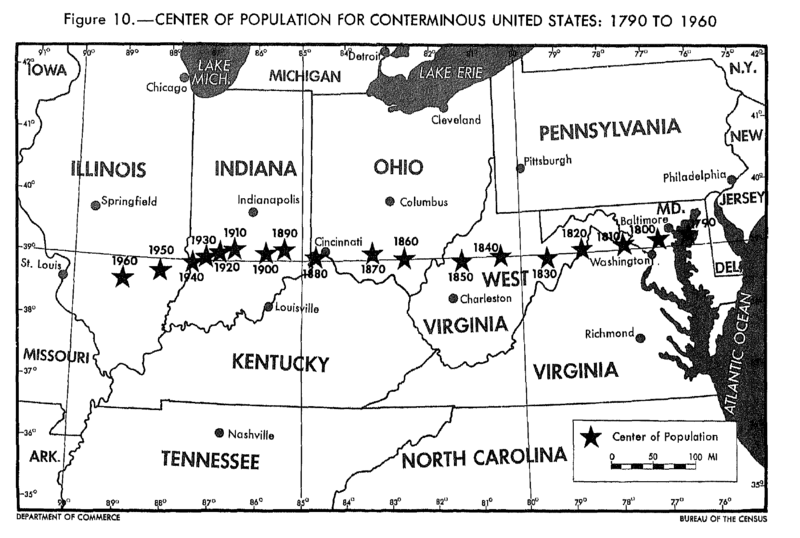 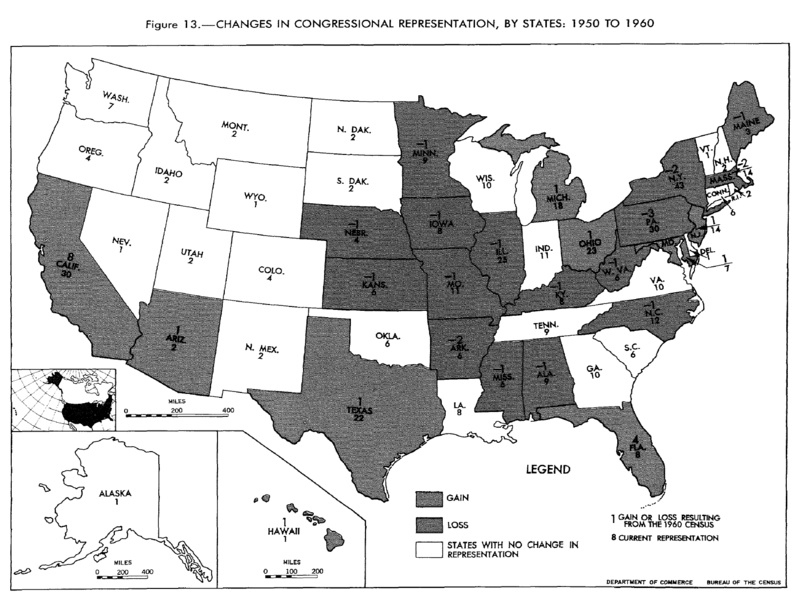 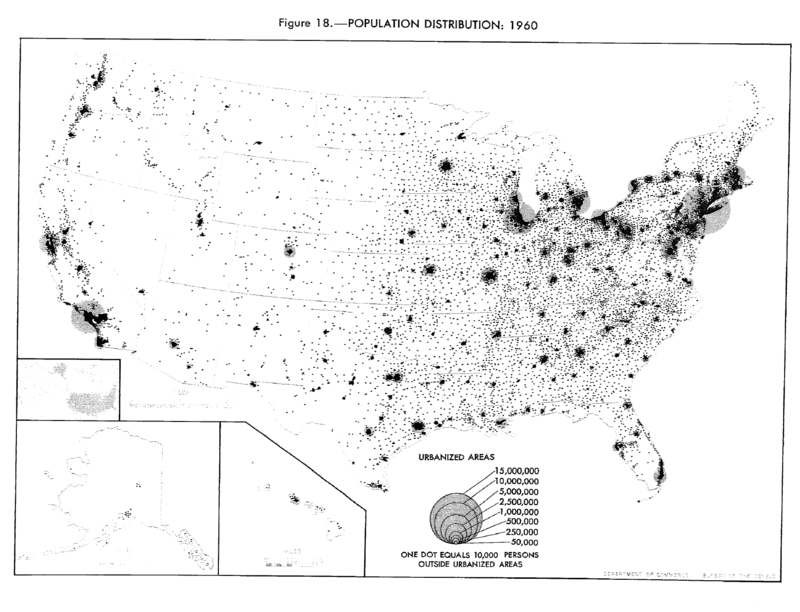 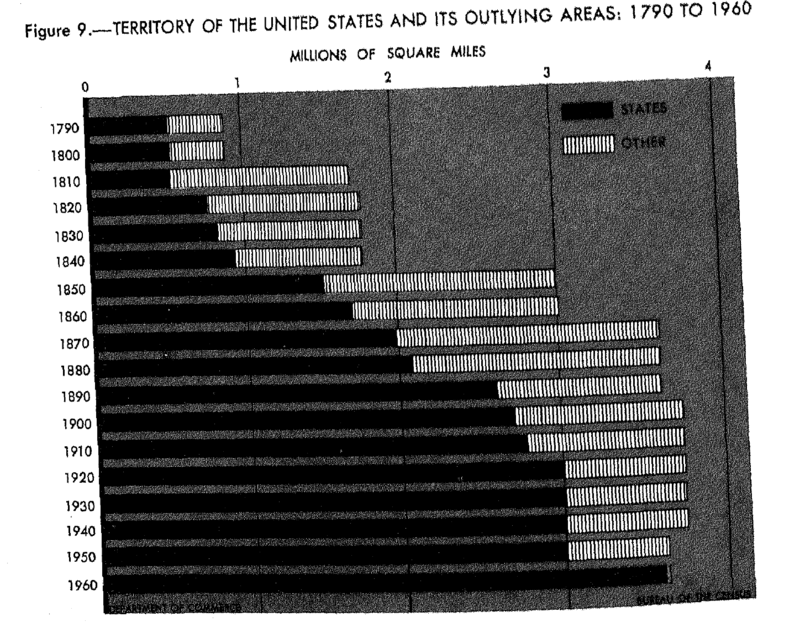 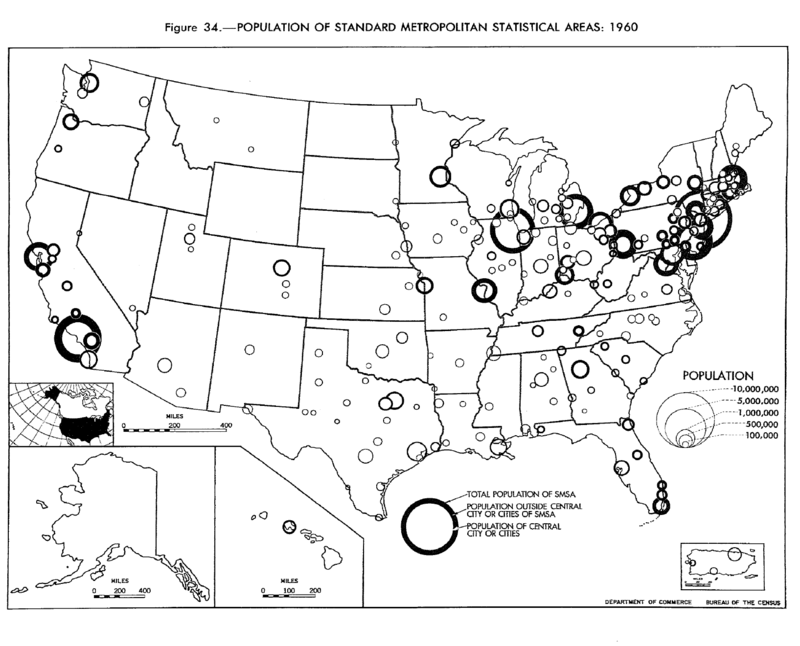 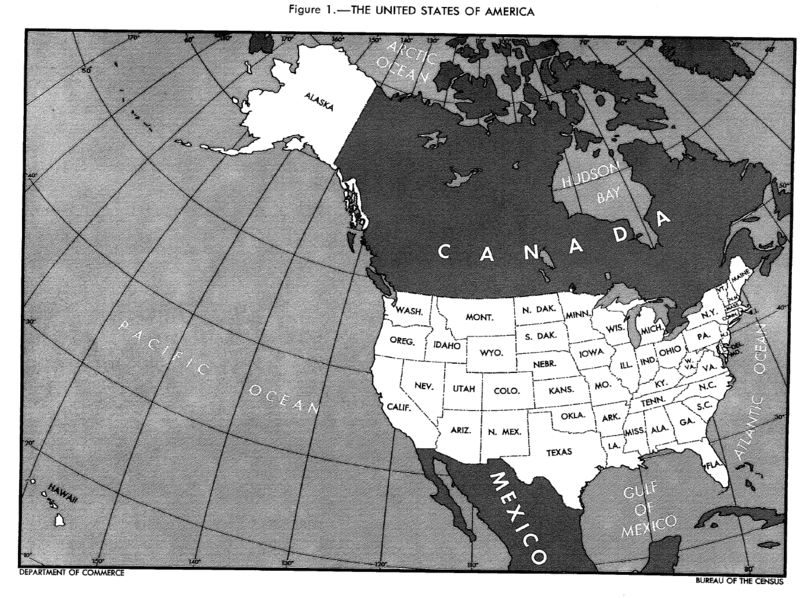 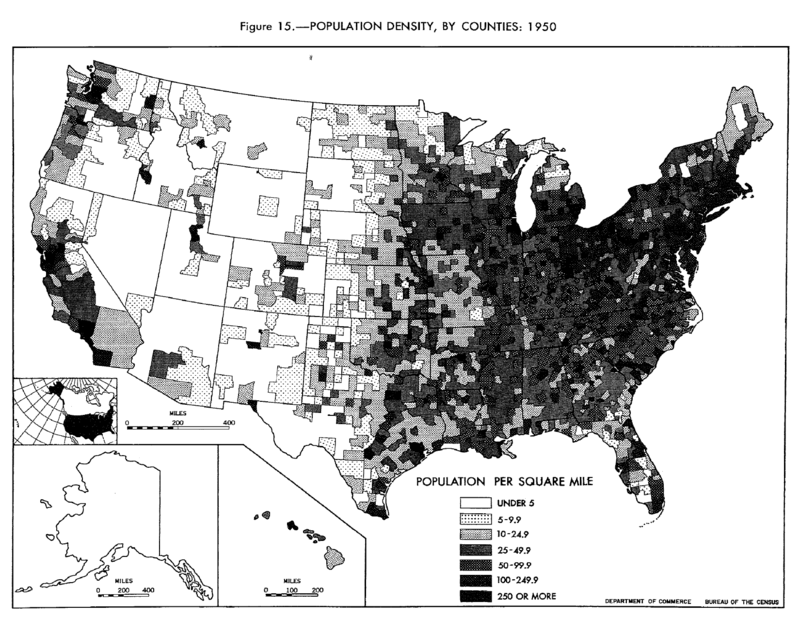 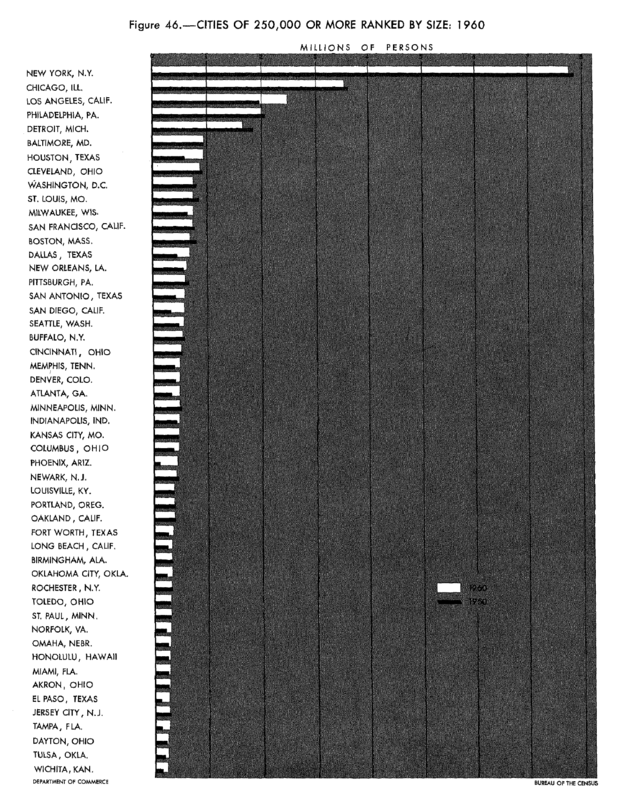 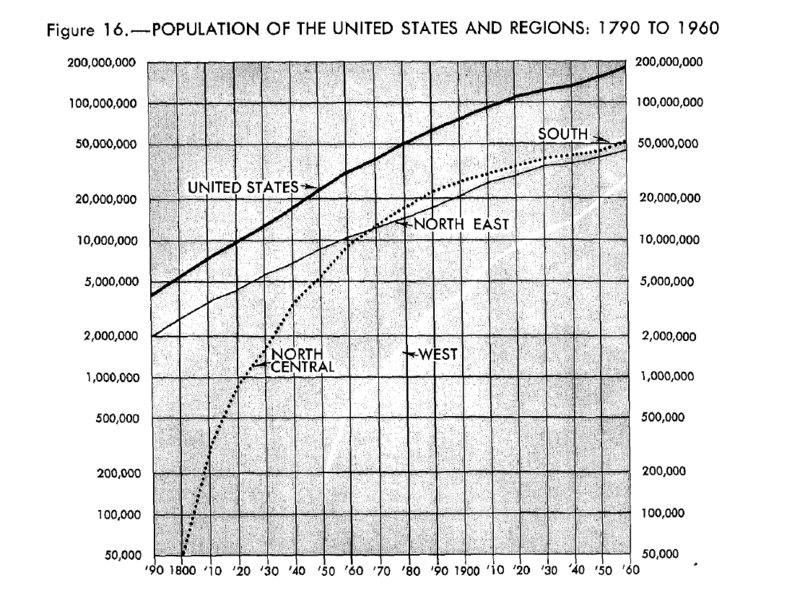 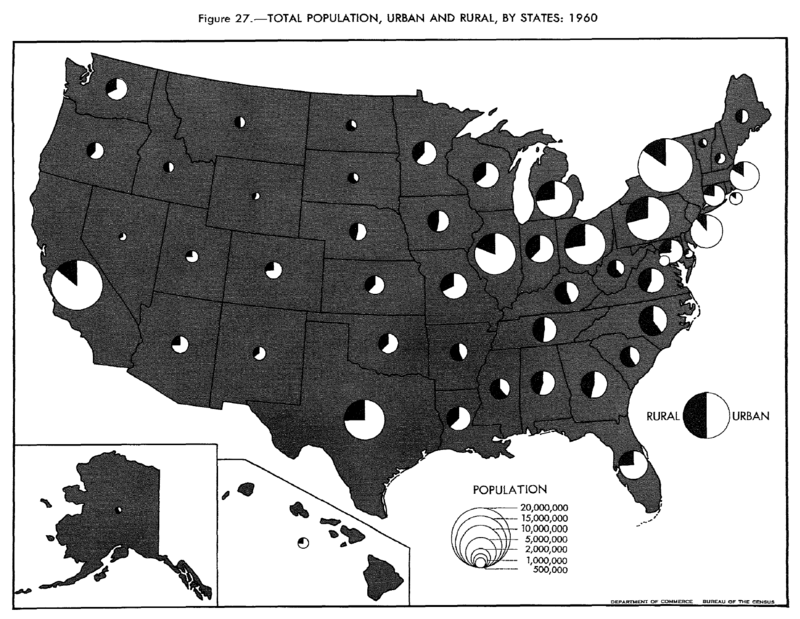 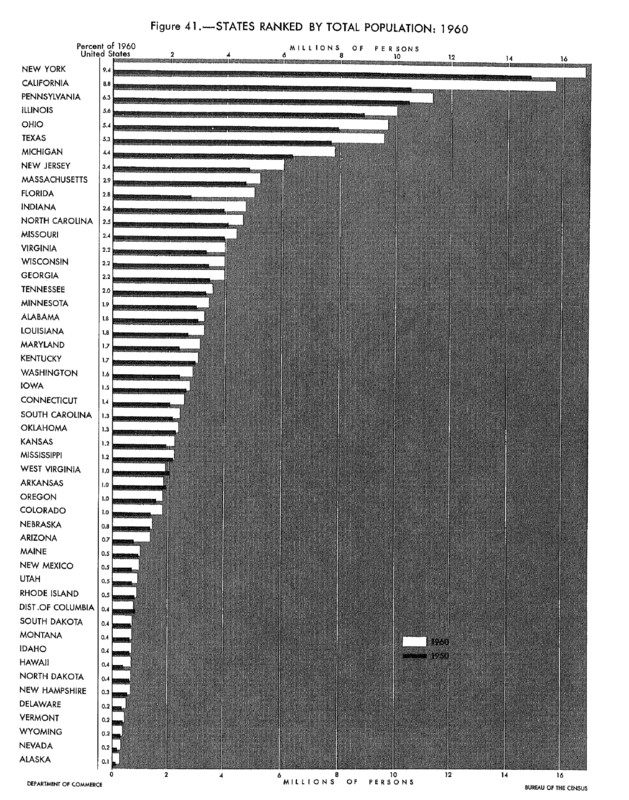 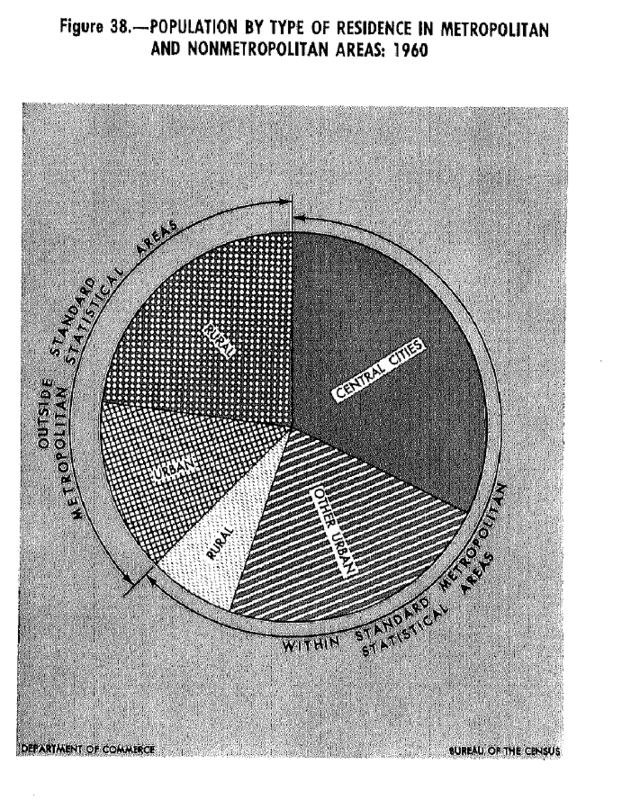 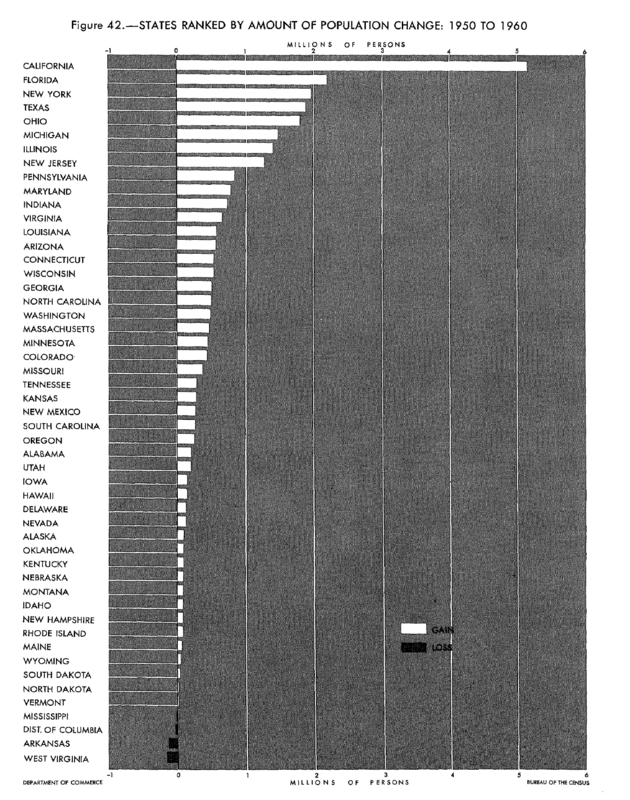 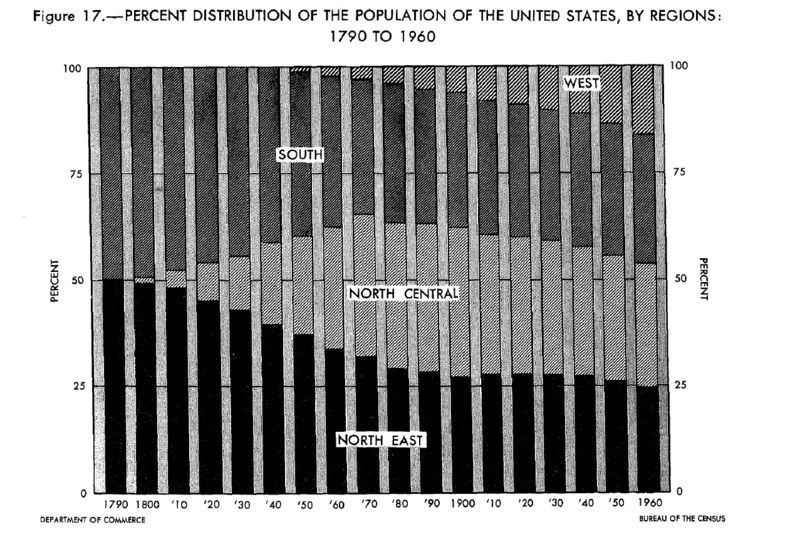 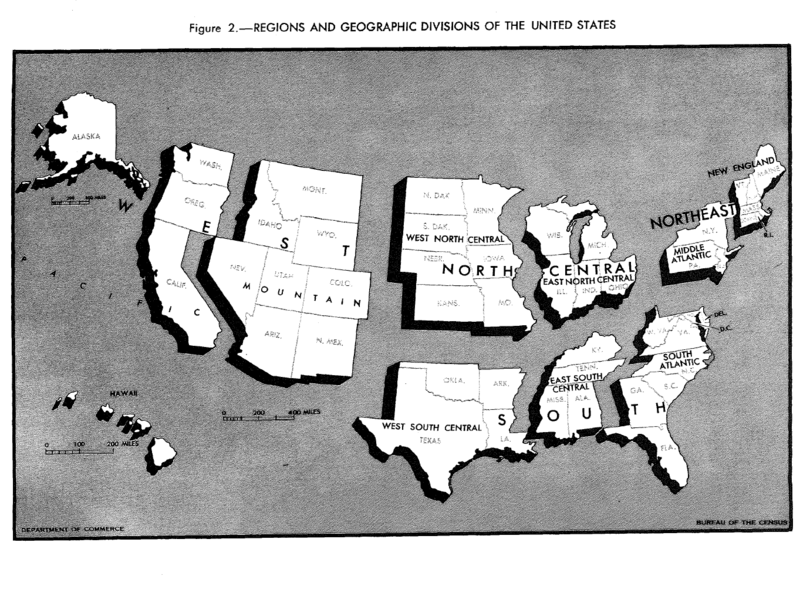 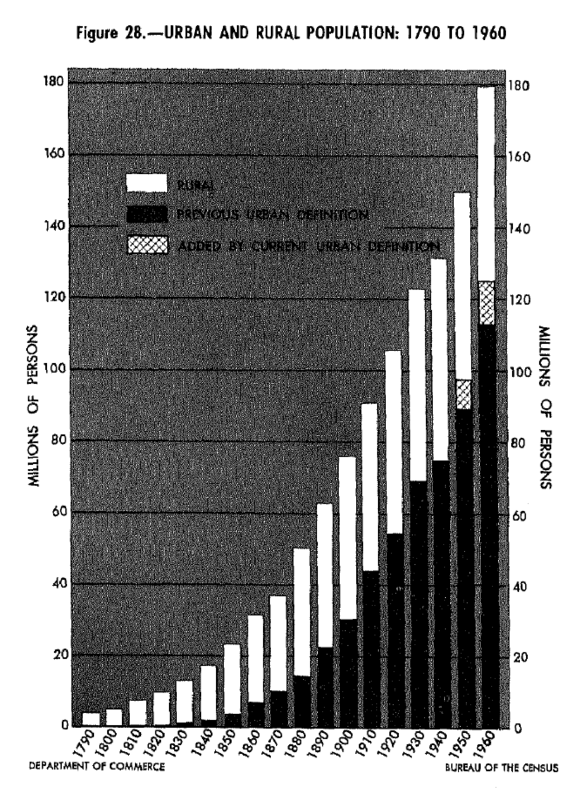 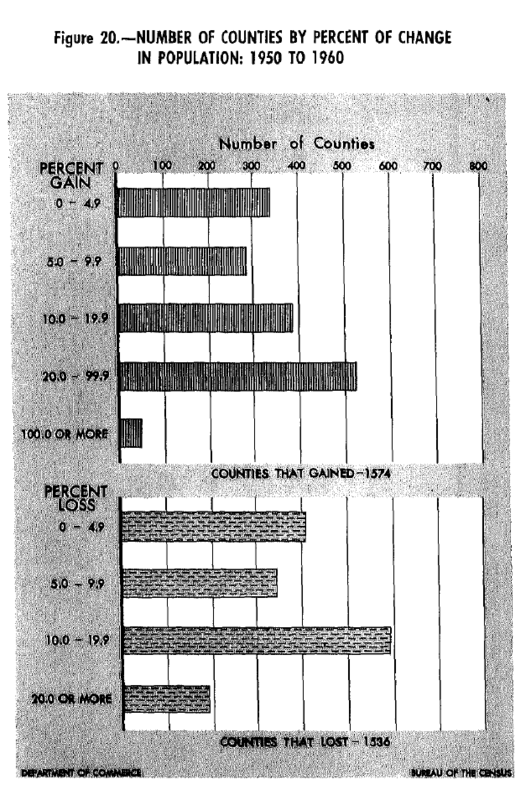 Also, similar corrections are not shown here for the distribution of the population classified by size of place. 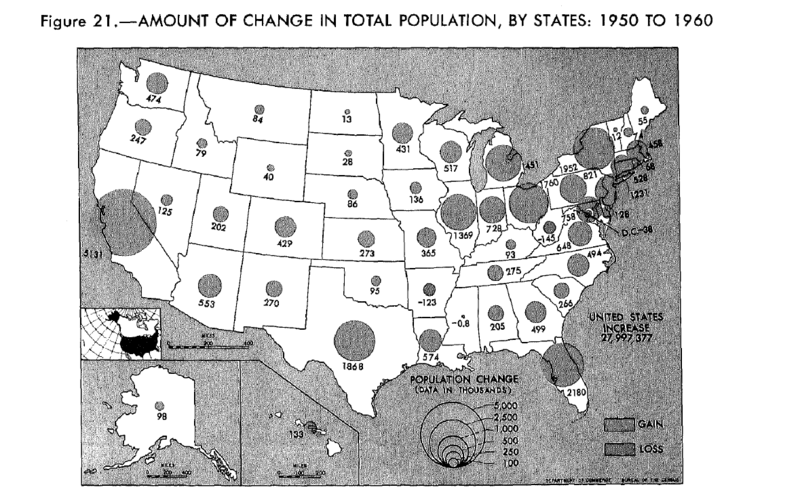 The user can, of course, carry through these types of changes if he thinks them worthwhile.